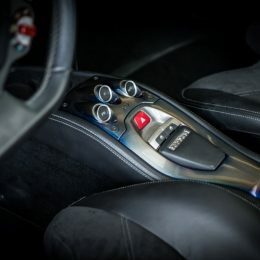 It takes a certain kind of person to want to carry out drastic, irreversible bodywork modifications to a supercar, particularly if the supercar in question has a Ferrari or a Lamborghini badge on the front and rear! 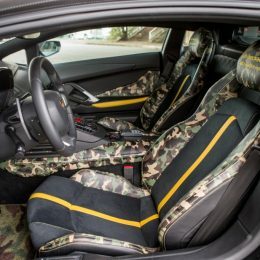 Thing is, the modern celebrity world is based around pushing boundaries and one-upmanship, so perhaps it shouldn’t be all that surprising to learn that there is a company that carries out modifications like this to some of the most exclusive and exotic cars money can buy; Liberty Walk, purveyors of bonkers supercar styling kits to the rich and famous, including none other than Justin Bieber. 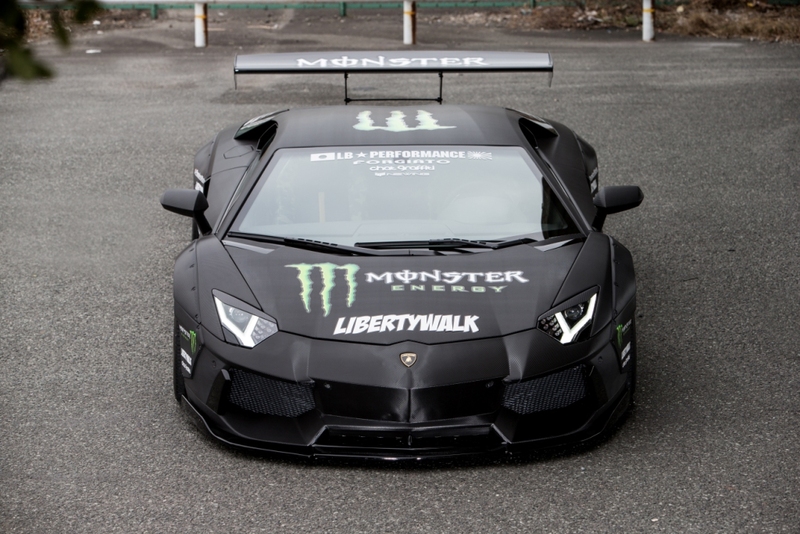 More importantly, Liberty Walk has just announced that it will be bringing a pair of its jaw-slackening creations to this year’s Autosport International show at the NEC, Birmingham. 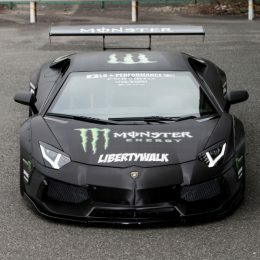 2017’s Autosport show promises to be an unmissable event for many reasons, the main one being that it represents the one and only chance for car fans to get up close and personal with two of Liberty Walk’s most extreme creations, a LW Ferrari 458 and a LW Lamborghini Aventador. 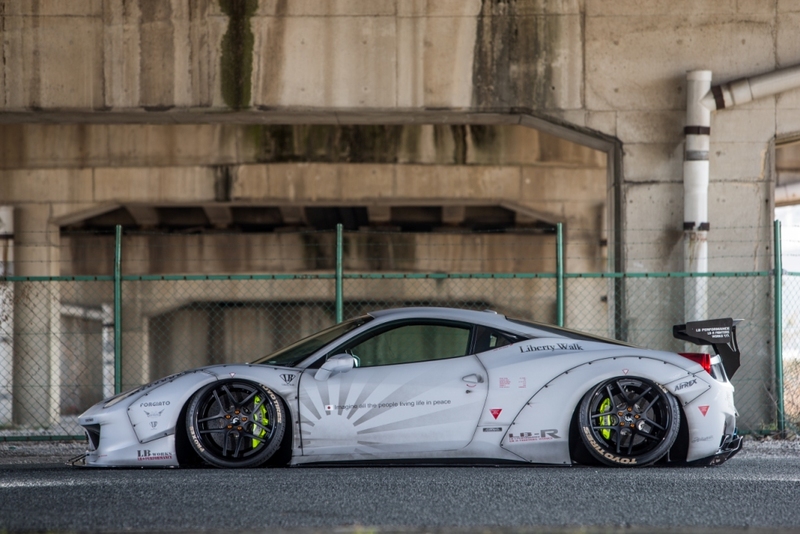 Both cars sports high tech air suspension arrangements and stunning three-piece wheels, and these work together to leave a stance that has to be seen to be believed. 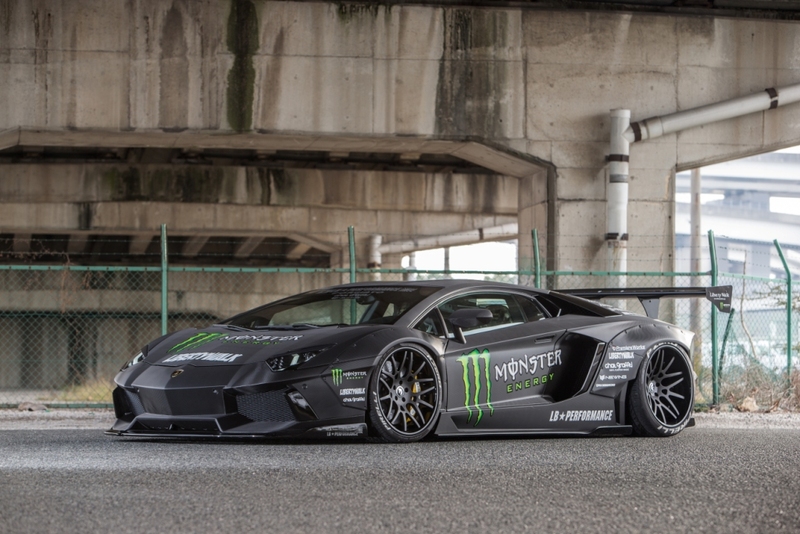 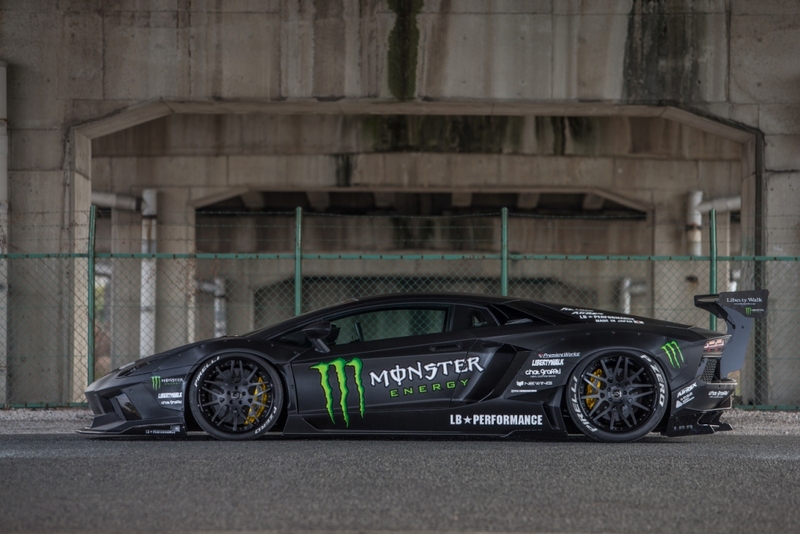 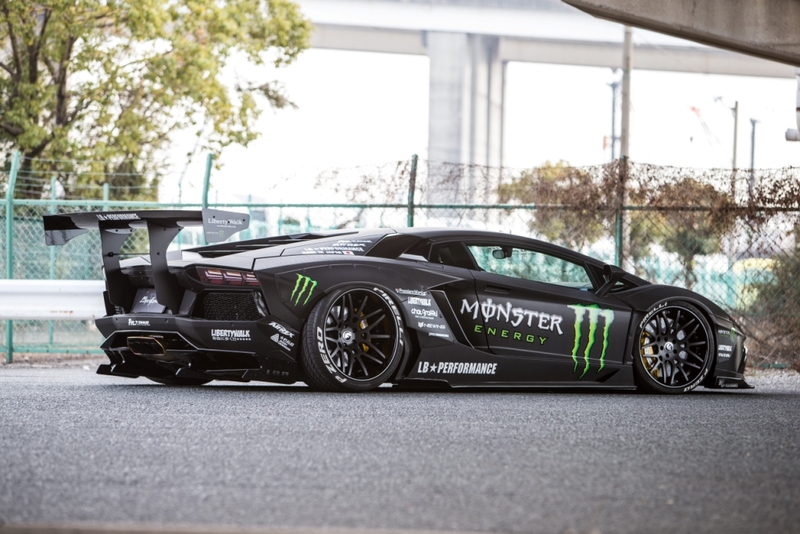 Both supercars boast examples of Liberty Walk’s most extreme offering, the Works Kit. 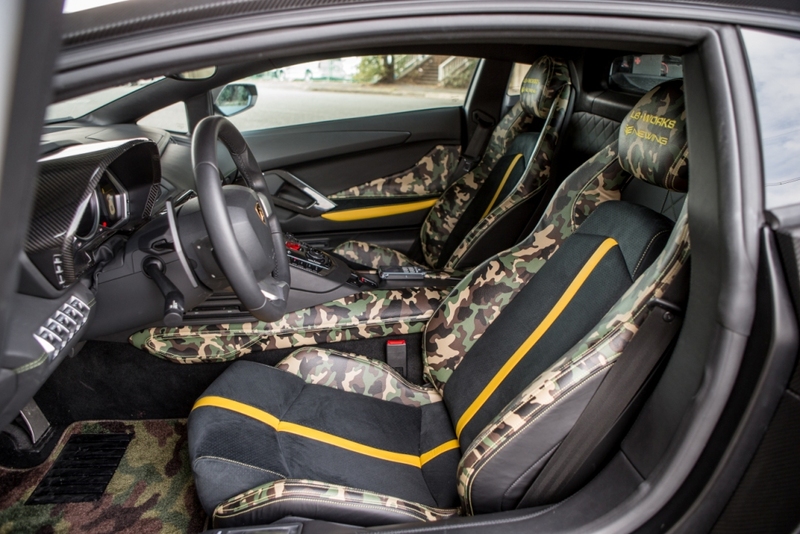 This consists of new arches all round, a deep front air damn, side skirts and a smattering of extra wings, all formed from carbon fibre, both with a price tag high enough to make your eyes water – £250,000 for the Ferrari, an astonishing £450,000 for the Lambo! 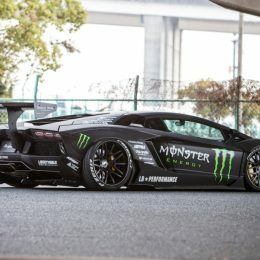 It didn’t take long for well off petrolheads from all corners of the globe sat up started to take notice, and even less time before the rich, famous and influential began beating a path to Liberty Walk’s HQ in Japan, wallets at the ready, desperate to bag their own slice of over the top automotive punk rock. 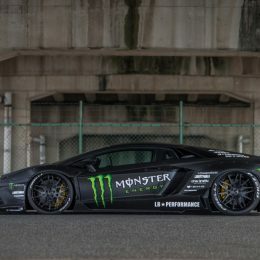 Justin Bieber was an early devotee, along with a whole host of world renowned DJs, athletes and Premiership footballers. 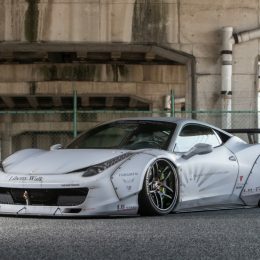 This means that Liberty Walk’s creations have a habit of turning up at some of the most exclusive premiers and functions on the face of the planet, including film launches, parties, and even the likes of the casino in Monte Carlo. 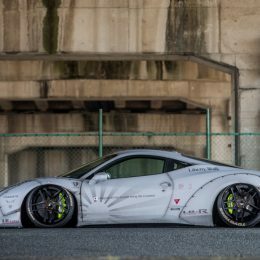 The mystic and intrigue surrounding Liberty Walk’s offerings only increases when you learn about the kind of materials used to make them, and what’s involved with getting them to fit correctly. 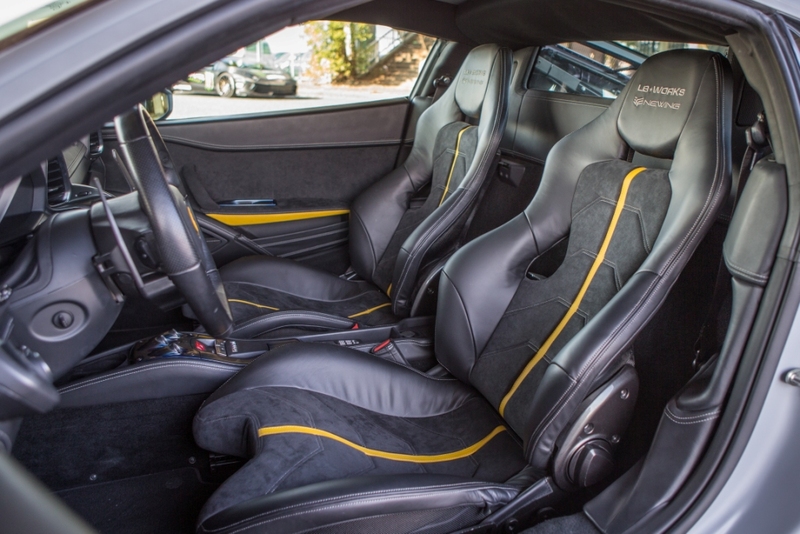 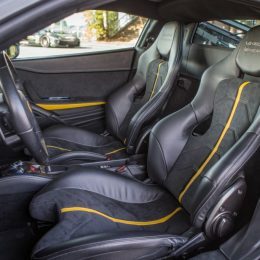 Would-be buyers can opt to have their kit made from either fibre-reinforced plastic (FRP) or carbon fibre reinforced plastic (CFRP), the latter significantly more expensive and therefore all the better for pub-based boasting sessions! 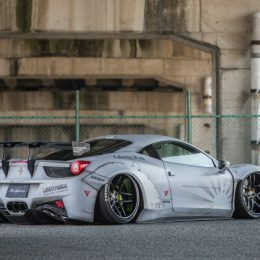 Physically fitting any of Liberty Walk’s creations is not for the faint hearted, the demure of the financially cautious (and it takes a fair bit of commitment), but the end results are, let’s face it, nothing short of spectacular. 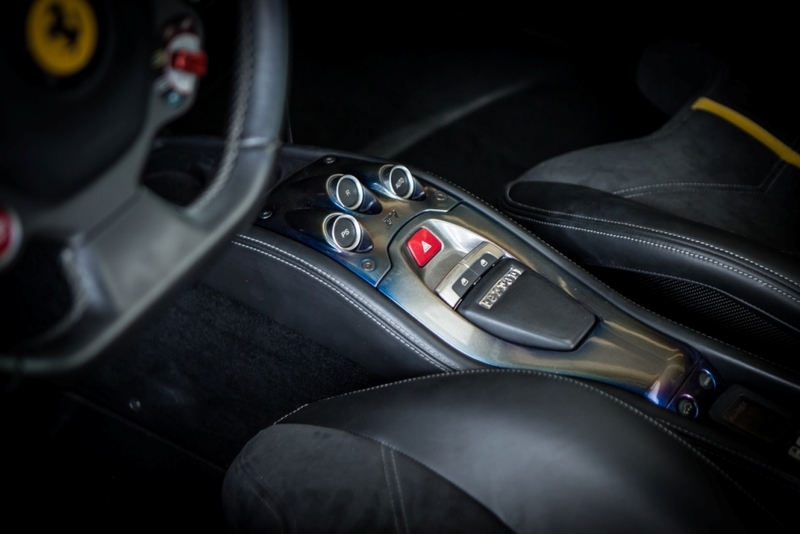 The result of all this wizardry with exotic composite materials? 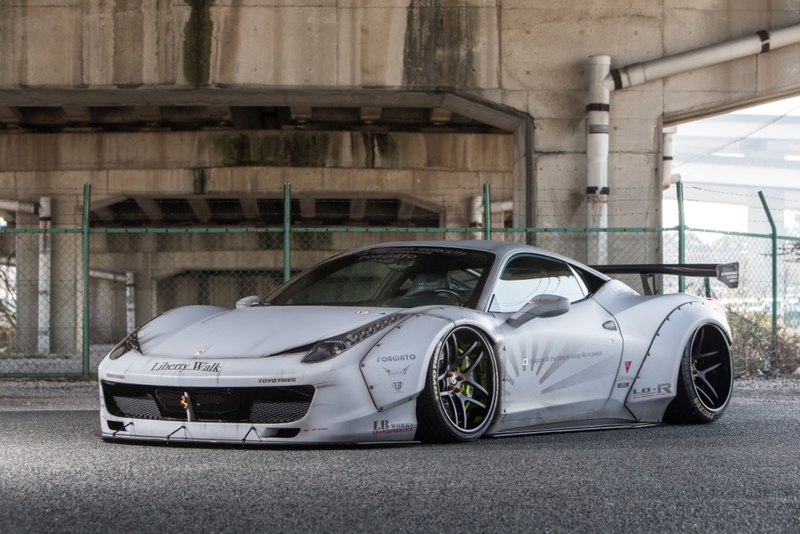 Cars that tend to ‘break the internet’ whenever they’re unveiled. 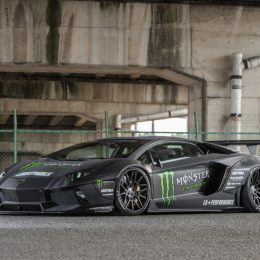 The vast majority can see the appeal and understand that Liberty Walk is merely taking an extreme object, a supercar, and turning the volume right up to eleven, but there always a few dissenters. 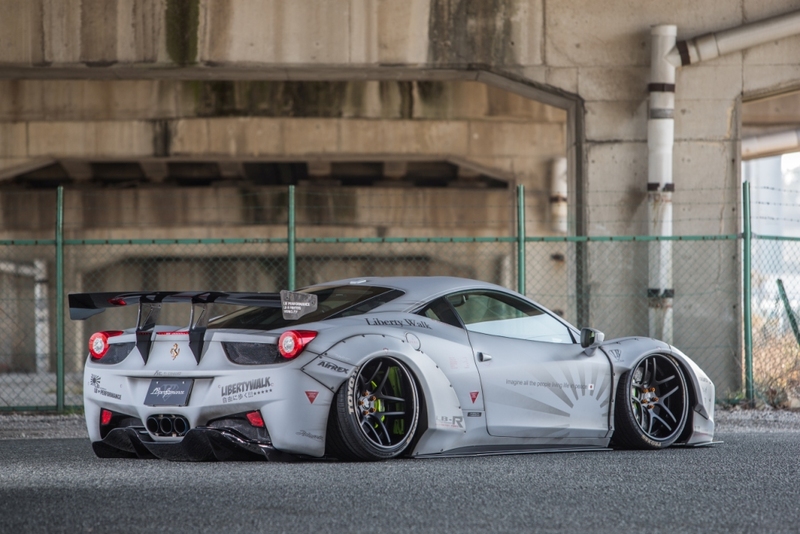 Those that wish to see these certifiable automotive creations for themselves should make sure they head to the NEC for the Autosport show, January 14-15th, as this really is the only time that Liberty Walk’s creations will be seen on this side of the Atlantic.